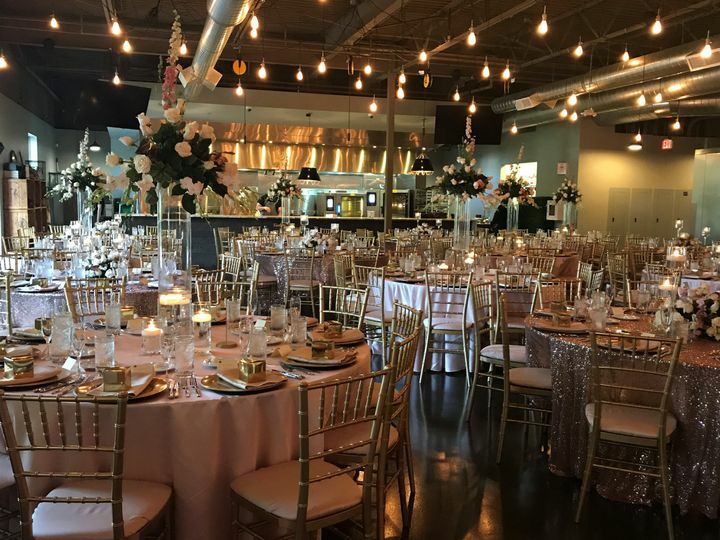 The Great Lakes Culinary Center is a wedding venue located in Southfield, Michigan. Enjoy rich ambiance and delicious food with this venue, personalized to your ideal wedding wishes. The open layout of the indoor space allows couples to customize to reflect their unique personalities. A serene outdoor setting is another highlight of this venue, including an on-site garden. 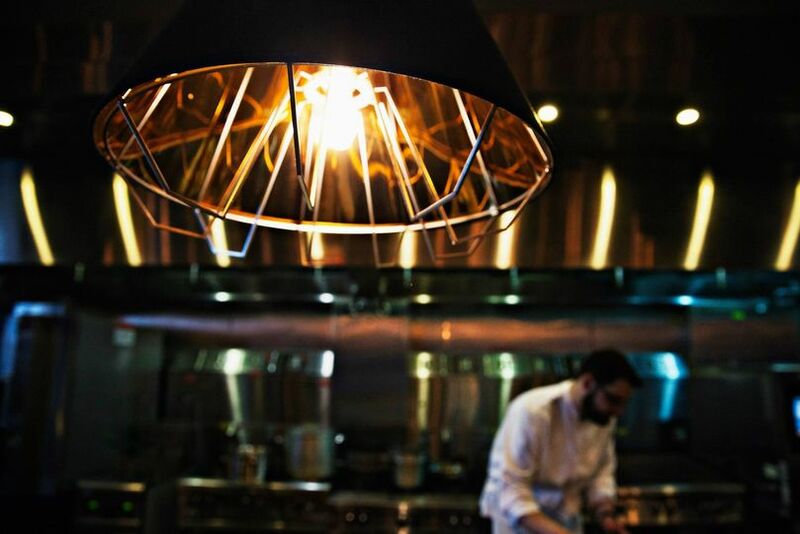 The Great Lakes Culinary Center is a blend of industrial and elegant charm. The open layout of the space, along with expansive windows, creates a vintage and modern feel. Couples and their guests can socialize at the bar, equipped with a stainless steel counter. 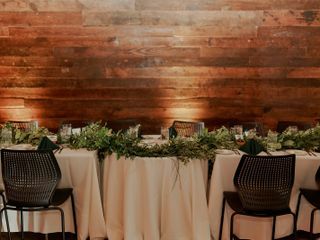 The unique indoor setting can accommodate up to 180 guests for a seated dinner or ceremony and up to 220 guests in a cocktail-style gathering. 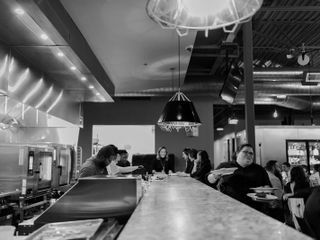 The contemporary kitchen space of this venue is both aesthetically pleasing and functional – enjoy the cuisine prepared on site. The outdoor section of the Great Lakes Culinary Center includes view of an on-site garden and the vintage-inspired brick façade. The outdoor area offers a porch space and can accommodate up to 100 guests. A draw of this venue is the access to delectable cuisine. 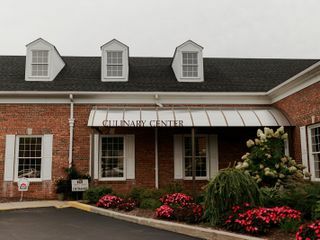 Great Lakes Culinary Center offers any couple their specialized service of cuisine prepared by professional chefs. Choose among catering services, such as a buffet, cocktail reception, hors d'oeuvres, plated and stations. Prior to the wedding event, couples can participate in a tasting to ensure the menu matches their wishes. 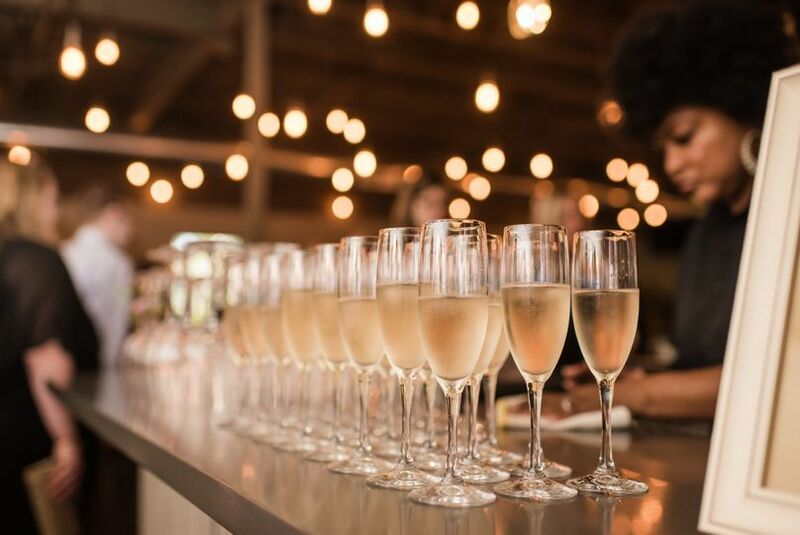 The venue provides for necessary food and drink items, such as barware, china, flatware, glassware and linens. 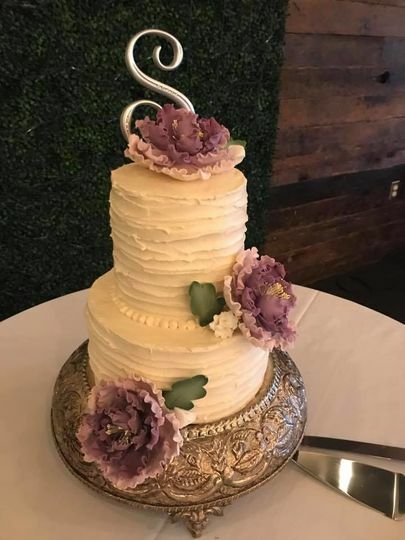 Executive Chef, Reva Constantine Cake. Freedom to decorate our wood wall! Full Service, open kitchen concept. This has to be the best wedding venue in Metro Detroit if not the state. My wife and I stumbled upon this venue while perusing the knot. We had never heard of Great Lakes Culinary Center before but the name and site images peaked our interest. 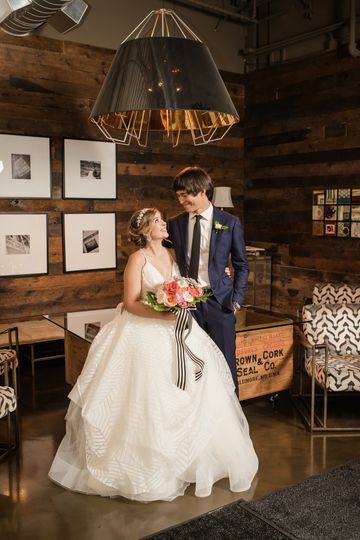 We were instantly hooked when we first met with Emma to check out the venue. 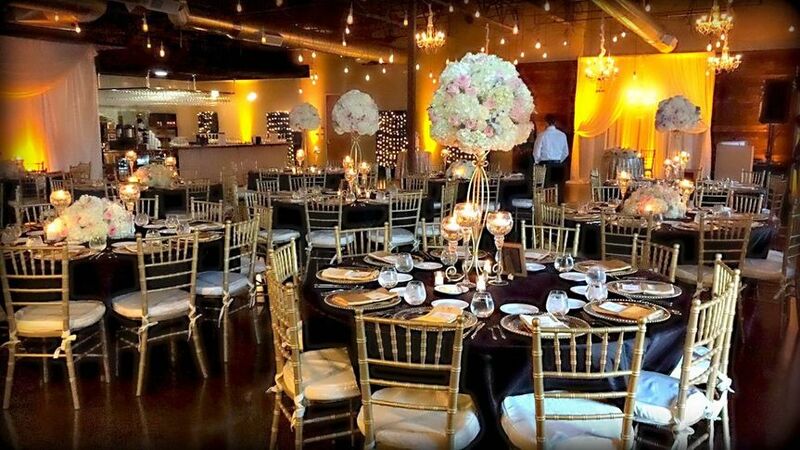 The interior is beautiful and different than the typical cookie cutter wedding venue you are used to seeing. The kitchen and bar are right on the main floor which I thought was pretty cool. They have an organic garden outside and it is absolutely stunning. You will not believe what it looks like at night. 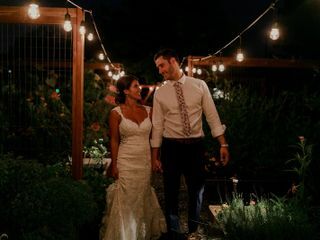 We had an outdoor ceremony and it honestly felt like something out of a fairy tail. You can even have your wedding party use the organic garden as an isle to walk down. 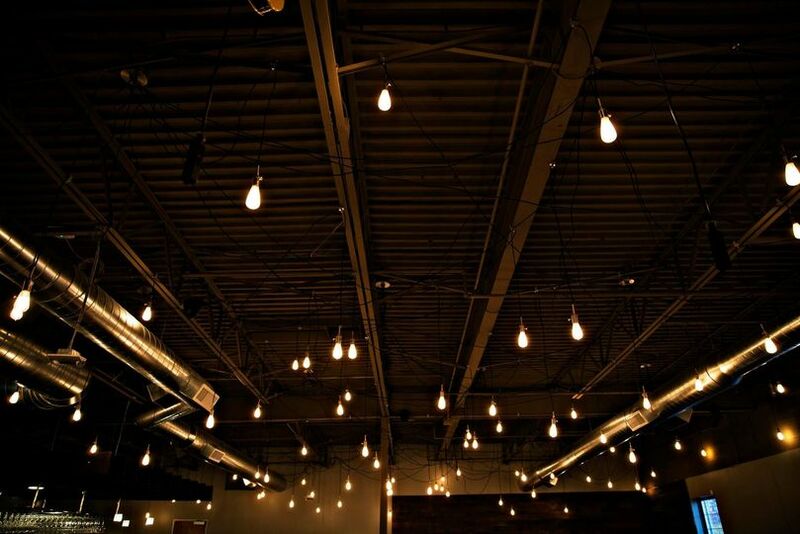 Everything about the aesthetics of this venue is awesome but the service they offer is what really takes the cake. The food.....This was hands down the best food I have ever had at a wedding. I might sound biased but all of our guests could not stop raving about the dinner and desserts. They have a massive menu of things to choose from but if you want to be creative the chef will work with you and add her own creative twist! The staff was excellent. They really help you plan the wedding of your dreams and boy did they deliver. Our guests are still talking about this venue more than a week later. They keep telling us "you found the spot". Not to mention, the cost was super affordable! 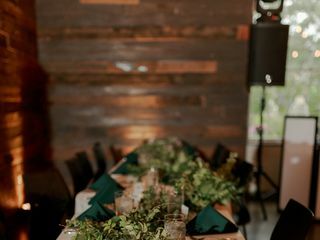 If you want the most original wedding, with the best food, the best drinks, the best staff, and at the best price...the Great Lakes Culinary Center is for you. Thanks again to everyone that works there. The memories generated from this venue will last us a lifetime. 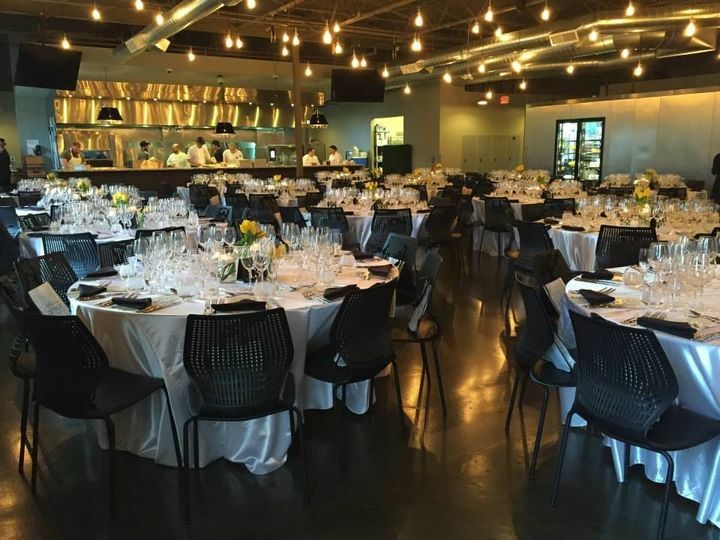 Great Lakes Culinary Center was an exceptional experience for both the wedding party and guests whom attended our reception. They allowed us to come in the night before(after the other wedding was concluded) and bring in everything we needed to set up. Super helpful accommodation to get us going since doing it the morning of would have been tough. The staff had a smile on their face the entire night and were very welcoming and pleasant to the guests. Our coordinator was very responsive to meet with us and discuss possibilities and set up ideas. The food was amazing since it was prepared the day of; we are still receiving compliments! I would definitely recommend to a friend; a very formal set up with a cozy feel! I am so thankful to GLCC for making my wedding a dream come true! The space was absolutely perfect for what we were looking for but what makes GLCC stand out is the full experience. Emma and Erika were amazing work with - they responded to my (almost daily) emails quickly and made me feel 100% at ease that my wedding was in the best of hands. And of course, the food!!! 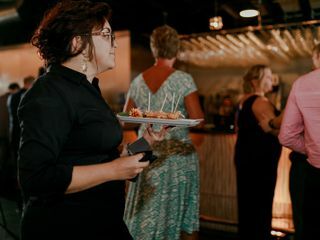 Chef Reva is truly amazing and every single thing served was delicious - we were told repeatedly throughout the night by our guests that the food was the best they've ever had at a wedding or the best they've had period! They say the bride and groom don't get to eat - we made sure we ate! And Emma literally brought apps directly to us to make sure we got to try everything. Another big thank you to all the staff who were incredibly attentive and hard working. I can't say enough great things about GLCC - it is truly a magical place and I wish I got to throw a party there every weekend. 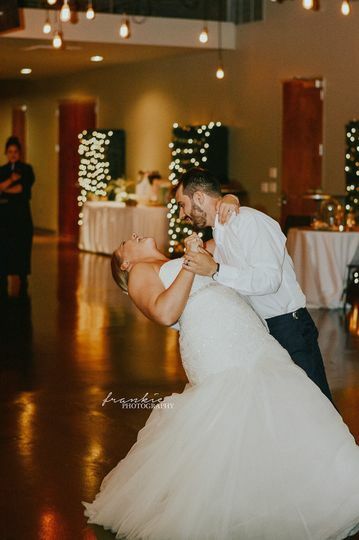 You absolutely cannot go wrong picking GLCC for your big day.